We were suppose to have our Spring Photo Contest winners today- but we had difficulty with the internet this weekend at the University- so we will announce our winners tomorrow! 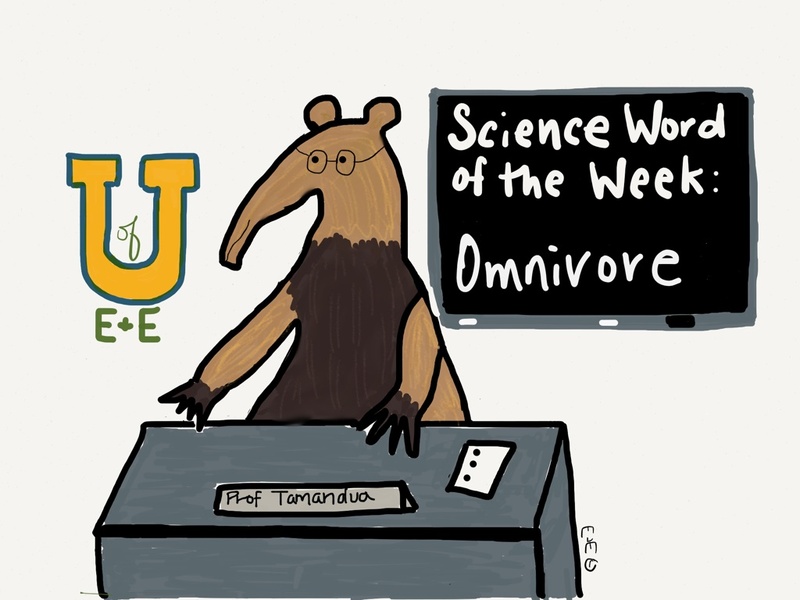 It’s Monday and that means it’s time to get back to class and talk about the science word of the week! We’ve learned about animals that are carnivores, herbivores and today’s word is Omnivore! Omnivore: is an animal that eats both plants and animals. Omnivores are a very diverse group of animals, that include raccoons, crows, pigs, some monkeys and some species of fish! 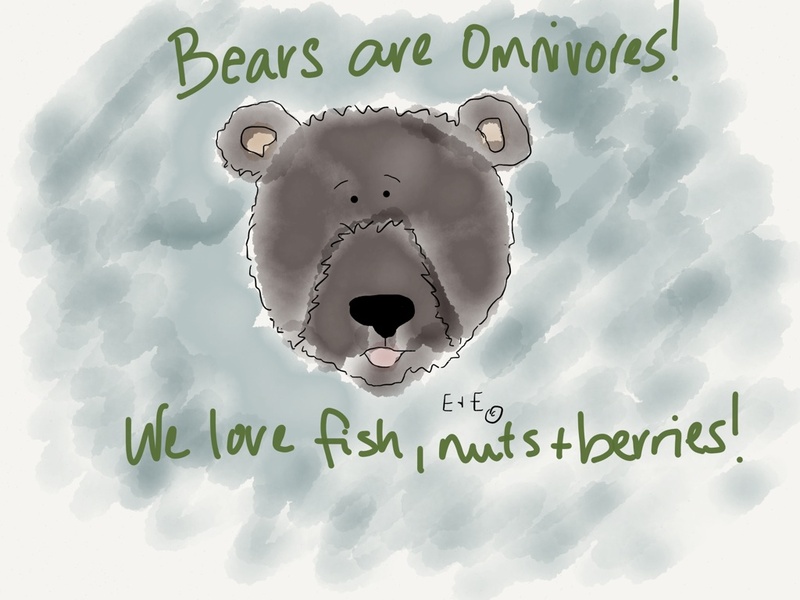 One of the most famous omnivores around is the brown bear! They eat a variety of fish, plants, nuts and berries!